Australian farmers are well-known for their inspirational attitude towards the conservation of their unique landscape in spite of the harsh conditions they work in. A significant step in reducing your own carbon footprint that actually saves you money is to improve the fuel efficiency of the machinery used on your farm. Switching to high-quality fuels and lubricants might seem extravagant but their superior formulation will prove cost-effective in the long-term. Choose high-quality fuel that’s designed to withstand the rigorous demands of agricultural machinery. It will increase daily performance and prolong the life of your expensive farm equipment. Once you’ve invested in superior fuel, you need to prevent it evaporating in the heat of the Australian sun. For best results, install an underground storage tank. Alternatively, provide shade for any tanks that are in the open and ensure they are light in colour to deflect the sun’s rays. Many farmers value their tractors as indispensable workhorses. Investing in a state of the art tractor that offers a superb performance while easily meeting the guidelines on cutting carbon emissions is a perfect solution to improve fuel efficiency but what if your budget can’t stretch quite so far? Adapting your existing tractor to include a fuel-efficient, small diesel engine is a cost-effective alternative. Versatile Kubota engines offer a range of sizes from the Super Mini which is ideal for compact tractors used in the vineyards of Barossa to powerful 82HP models that can cope with every difficulty you’ll ever encounter in Queensland’s remotest areas. Your tractor will instantly benefit from Kubota’s innovative E-CDIS system that combines low carbon emissions with one of the highest available levels of fuel efficiency. Farming involves so many different tasks during the working day that it’s tempting to use one tractor for all. However, this is guaranteed to have an adverse effect on your fuel consumption as using a compact tractor for heavyweight tasks significantly increases fuel intake while a large tractor used for light work is simply a waste of fuel. It’s worth the effort to change to a machine with the most appropriate horsepower to use your fuel allowance efficiently. When moving light loads that require a low amount of traction, you can economize on your fuel consumption by reducing your engine speed and changing to a higher gear. An alternative measure is to install one of the Kubota engines that are specifically designed for higher fuel efficiency leaving you to concentrate on the job in hand. Even the most simple measures can improve fuel efficiency. Organize your land to include access points at the shortest routes then save time opening and closing gates by installing cattle guards. When plowing, aim to make your turns at a tighter angle. 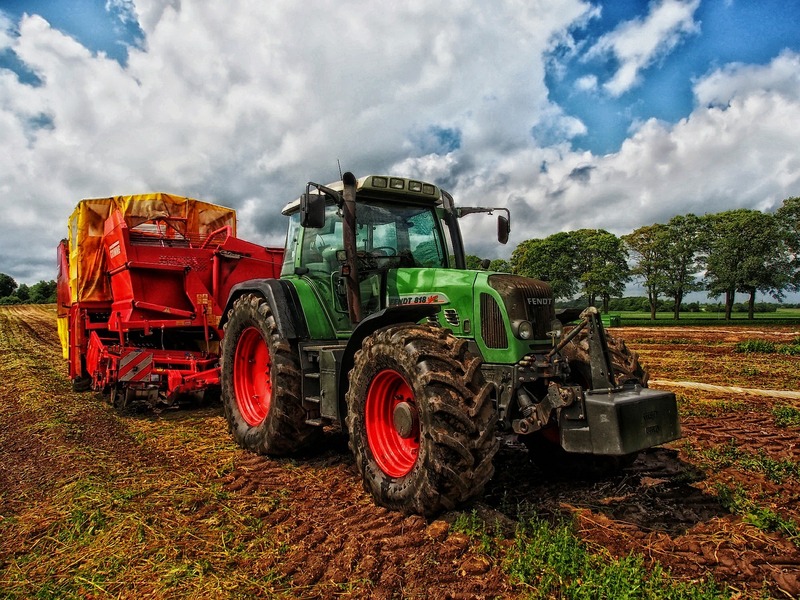 Agricultural machinery suffers a great deal of wear and tear. Regularly replace worn sections with high-quality diesel spare parts to ensure your machinery reduces fuel consumption and improves performance. Maintaining the correct tire pressure will also help. Using generators powered by Kubota engines offers superb reliability and fuel economy. Designed to have a low impact on the environment, they incorporate safety measures, portability and ease of use. Power ranges from 5.5kVA to 30kVA with single and three phase capabilities. Side access allows easy maintenance to keep them in excellent condition to improve fuel economy. Check out the excellent range of diesel engines and generators from Kubota for the lowest impact on the environment, superb performance and cost-effective fuel efficiency.